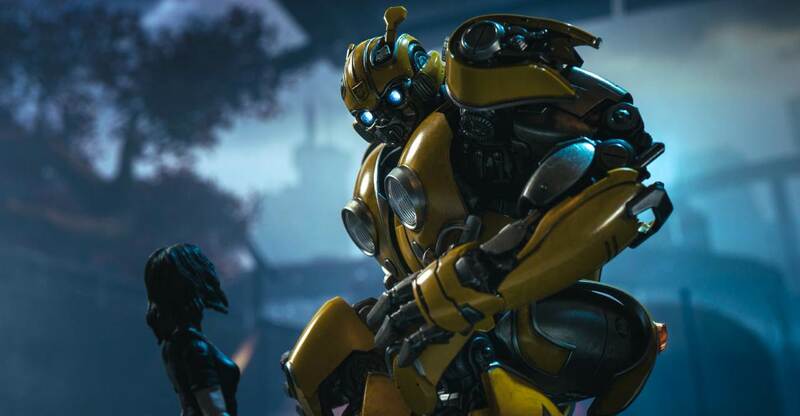 Thanks to 3A we have an early copy of their DLX Bumblebee from the Transformers: Bumblebee movie! This is their first smaller scale figure, measuring in at 8 inches tall. It uses their new die-cast skeleton framework, has 55 points of articulation, sculpt is direct from the movie so it’s as close to screen accurate as you can get. Paint and weathering is head to toe crazy good, it makes you double take even in normal light on your shelf it’s that good. To cap things off it comes with an alternate battle mask head, an extra gun arm, 3 sets of hands, folded and unfolded door wings. Oh and the eyes light up via LED on both heads. 3A let us know that the first batch of these will be shipping out at the end of January. A second batch will go out in Q2 2019 after Chinese New Year. If you are looking to pick him up, make sure to check our sponsors below. You won’t want to miss this guy if you dig the Movieverse and Bee in particular. 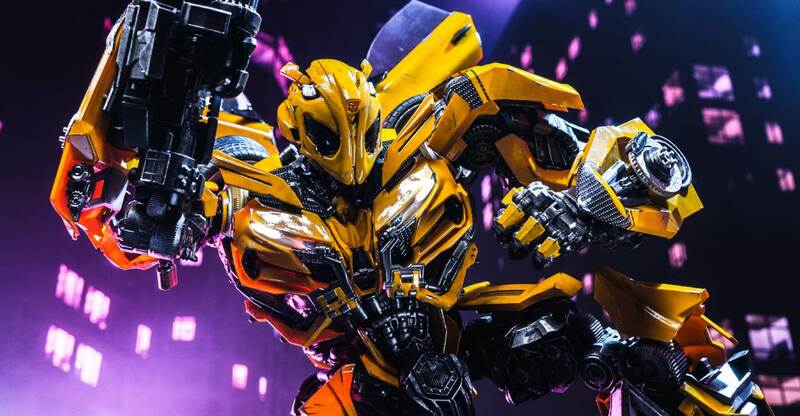 We’ve run Bumblebee through the motions, showing off his entire range of motion and display stand poses in a simple clear format, and then some fancy pants shots at the end to really show how good he looks in best case scenarios. Click here or the link below to check out the full gallery of over 140 images! You can also read on for some additional info. I’ve left some thoughts in the discussion thread, feel free to ask any questions you have about the figure inside and I’ll try to answer! 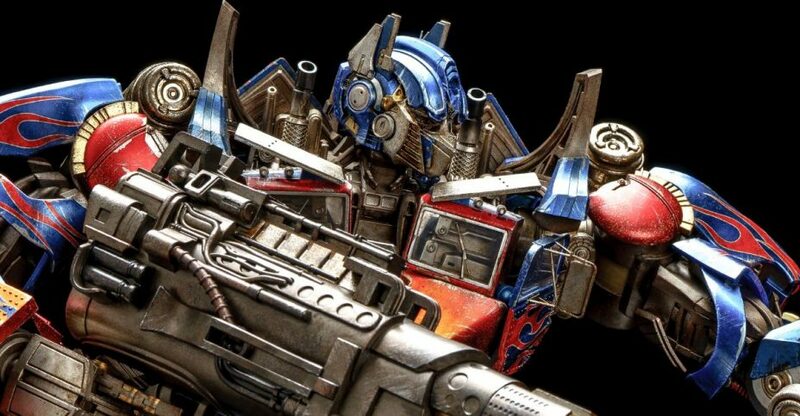 Time to take a look at another epic level 3A Transformers piece – Transformers The Last Knight Optimus Prime! This is a high end, fully articulated figure of Optimus in his later era Movieverse style. Featuring the more rounded Western Star truck mode parts and his knight inspired form, this 19 inch tall piece from 3A is a masterful representation straight off the screen. As with all the 3A pieces, he does not transform, but that doesn’t take away from the quality seen throughout. He has weathered detailing and paint on every single part, light up eyes and shield gun, articulation galore at almost every conceivable location. This version also comes with an alternate head without the Nemesis Prime face paint. I think most of us older heads really dug Optimus’ look in the new Bumblebee movie, a mixup of both eras, but this is still a key form in the life of Optimus on the big screen, and it’s done as well as it can be here. We’ve run him through the motions showing off what he can do, check the gallery link below for over 100 HD shots courtesy of 3A! Calling all Autobots! 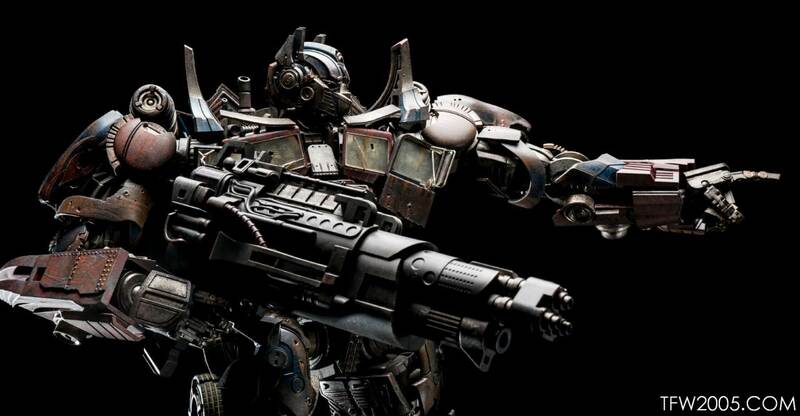 3A has dropped their Age of Extinction Evasion Mode Optimus Prime, filling in the movieverse gap between their Dark of the Moon figures and the upcoming Last Knight offerings. Evasion Prime is a re-tool of the previous Dark of the Moon Optimus, using many of the same parts. The chest gets redone to mimic his look in the movie, and several of the smaller pieces get bullet holes to show his battle damage. Heavy weathering is also present to give him that faded rusty look. Electronics are here in the eyes and headlights. The retail version comes with his blaster and knuckles, the Bambaland exclusive added in the energy swords from the DotM release. 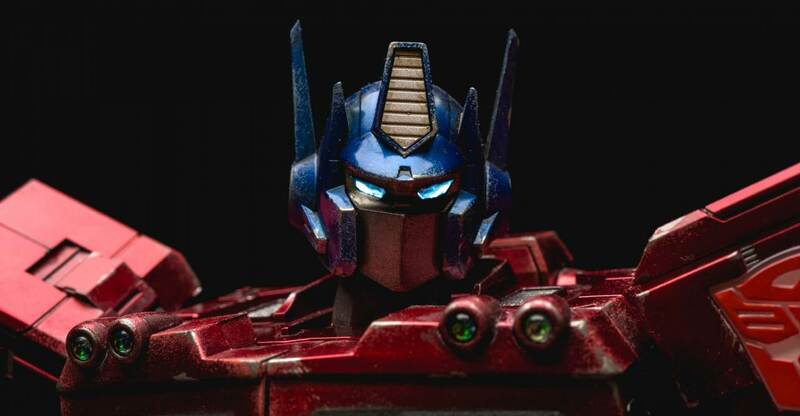 Back in January, 3A revealed their first non-movie Transformers figure with a stylized version of Generation 1 Optimus Prime. This isn’t a straight up G1 design based on the cartoon, comic or even recent Masterpiece releases, but rather one inspired by the art of Ashley Wood, co-founder of 3A. As such, it has a unique set of lines, cuts, and curves that won’t be found in other figures. Prime stands 16 inches tall, has 59 points of articulation, uses die-cast and features a super detailed paint job. 3A G1 Optimus Prime is due out in the 3rd quarter of 2017, but we’ve been graced with an early copy to run through the motions. Head on over to the full gallery here: TFW2005’s 3A Prime Gallery. You can also check some key shots and a review by WTF@TFW Podcast Captain Vangelus after the break! Conquest is made of the ashes of one’s enemies. 3A is back with their fourth (and last) Transformers Dark of the Moon high end figure and this time it’s none other than Decepticon Air Commander Starscream. Starscream is rocking his tatted up look from DotM in his F-22 mode. His unique look from the Movieverse is in full effect with the reverse knees, wide chest and bug-like head sculpt. This is the retail version which comes with an extra forearm missile launcher. The 3A exclusive version comes with a hand saw accessory as well. Read on for some additional thoughts and some key pics! Freedom is the right of all sentient beings! 3A is back with their third Transformers Dark of the Moon high end figure and this time it’s the leader of the Autobots Optimus Prime. Optimus rocks his long nose Peterbilt cab mode complete with flames, which some say is the best version of Optimus in the Movieverse. This version also comes with DOTM specific weapons – his spiked knuckles, giant blaster, and dual energy swords. 3A have shown 4 DOTM figures so far – Optimus, Bumblebee, Megatron, and Starscream. We have a copy of DOTM Optimus here at TFW2005 HQ and have run it through a detailed photo session so everyone can check it out. He should be shipping now! Read on for some additional thoughts and 115+ pics! All Hail Megatron! 3A is back with their second Transformers Dark of the Moon high end figure and this time it’s none other than Mighty Megatron. Megatron is rocking his rusty truck mode, the Movieverse version with the cloak and shotgun. His face is still half gone from the battle in Revenge of the Fallen and he’s on the ropes. 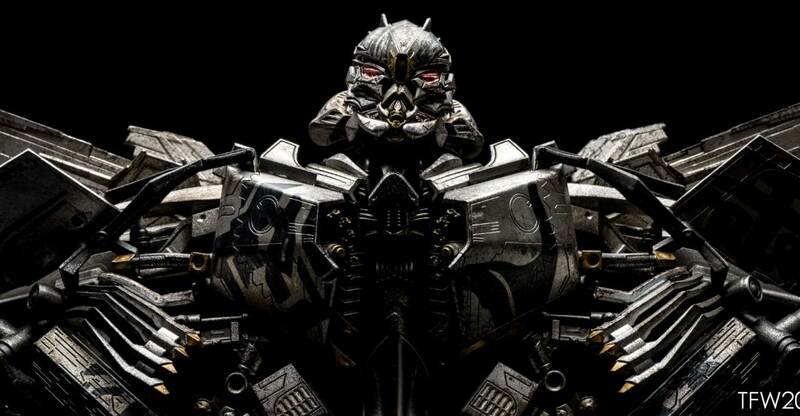 This may be the most menacing version of Megatron on the big screen yet, and 3A captures that glory here. 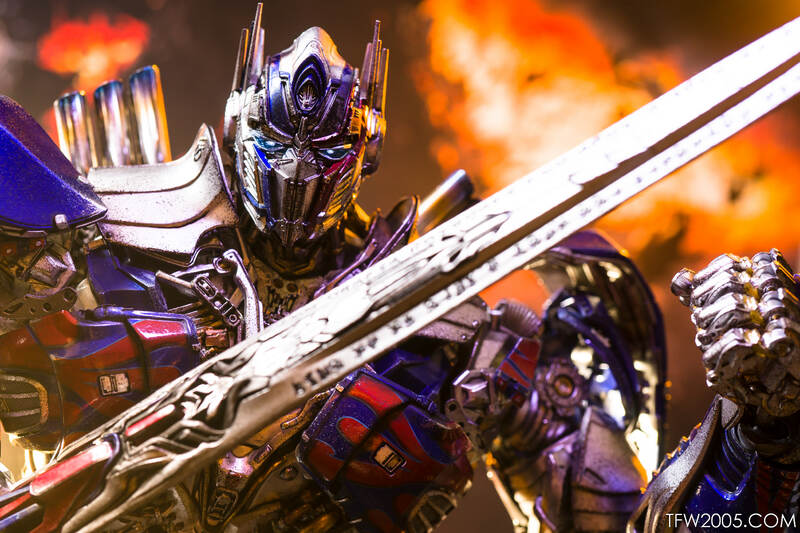 They’ve shown off 4 so far – Megatron, Bumblebee (which we shot in detail, check the link), Optimus Prime, and Starscream. We have a copy of DOTM Megatron here at TFW2005 HQ and have run it through a detailed photo session so everyone can check it out. He should be shipping now! Read on for some additional thoughts and 90+ pics! 3A has branched out along with it’s partner company ThreeZero to produce high end figures beyond the artistic vision of co-founder Ashley Wood. 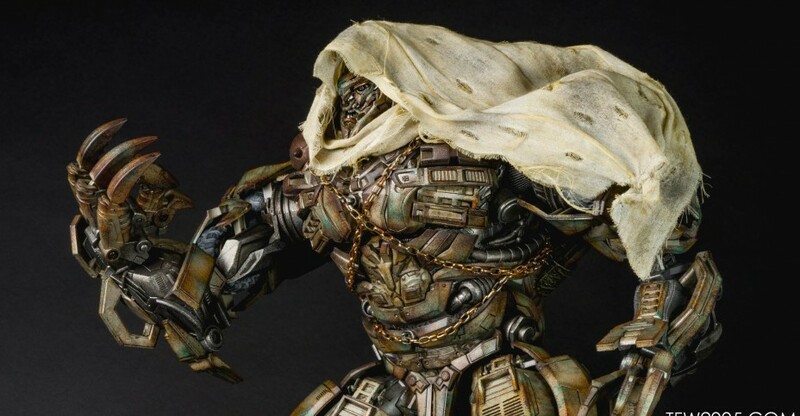 Most of 3A’s licensed figures have been stylized interpretations of classic characters like Marvel’s Iron Man & Dr. Doom and even some from the Star Wars universe. Their Transformers offerings however have been direct from the screen. 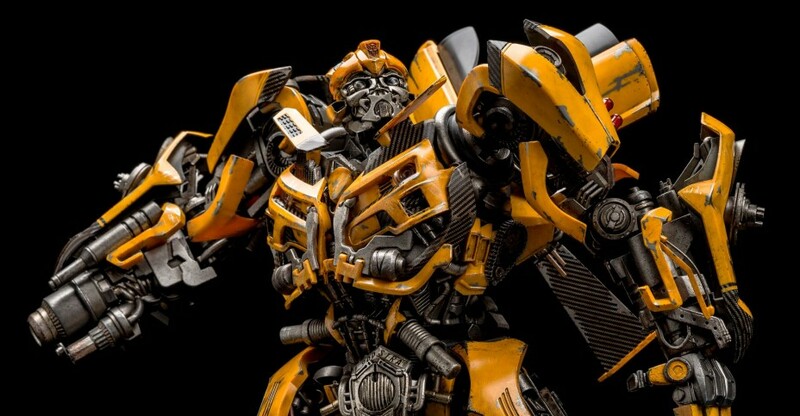 They’ve shown off 4 so far – Optimus Prime, Megatron, Starscream and Bumblebee. We have a copy of the retail release for DOTM Bumblebee here at TFW2005 HQ and have run it through a detailed photo session so everyone can check it out before it hits your doors. He should be shipping soon! Read on for over 90 HD images after the break!